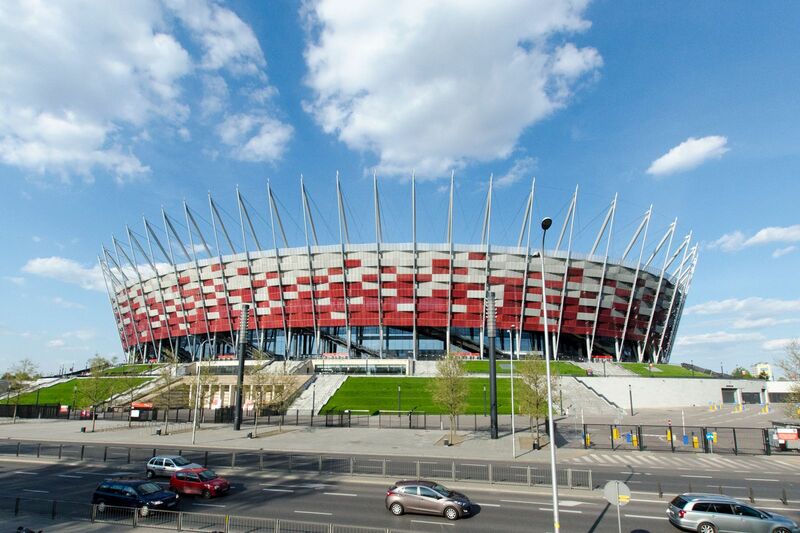 Decision to build a new national stadium in the place of historic Stadion Dziesięciolecia was made in 2007. 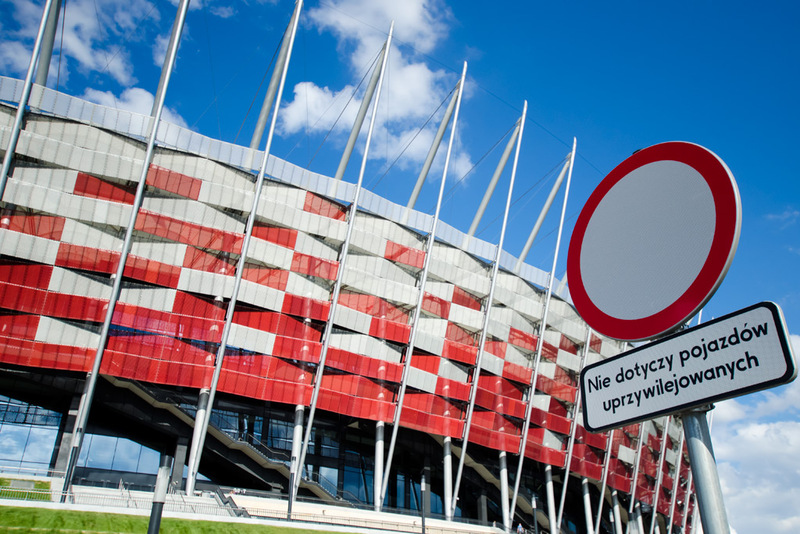 Many doubted the success of such move as previously authorities have been trying to close down one of Europe’s largest market places that was located at the ground for over a decade – with no results. 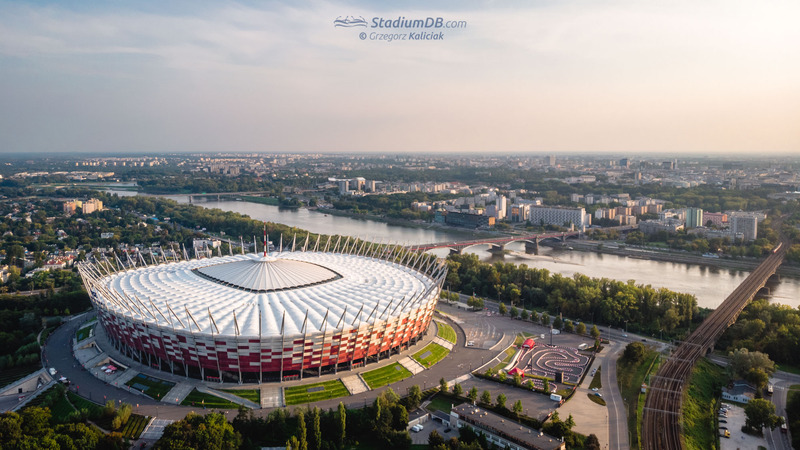 However in 2008 plans came to fruition when the old bowl was destroyed with heavy machinery, allowing for some 14,000 piles to be installed in the ground, giving future venue stability in this wet ground next to Vistula’s bank. 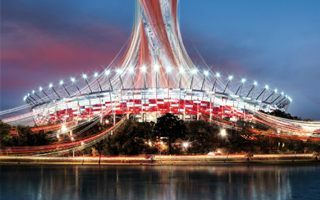 Proper construction works started in May 2009 over a design proposed by Polish JSK Architekci and German GMP Architekten and SBP engineers. 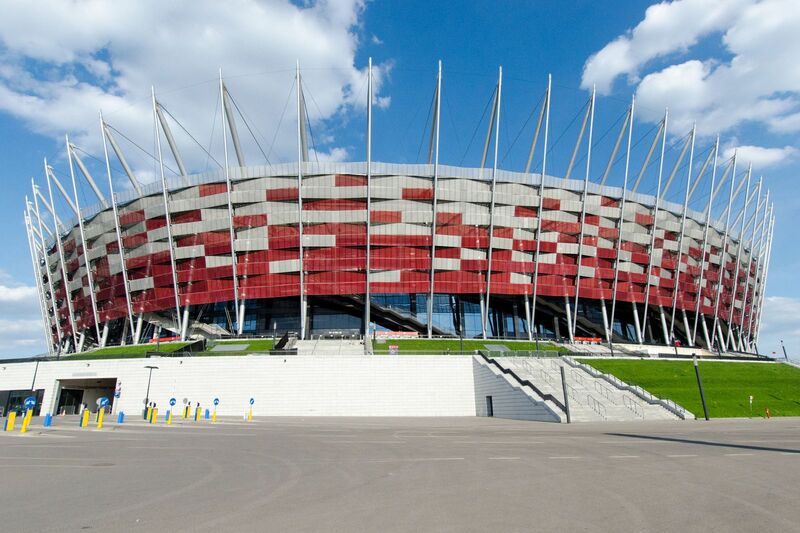 The vision was to deliver a ground reminding a wicker basket, associating it with traditional Polish craftsmanship. 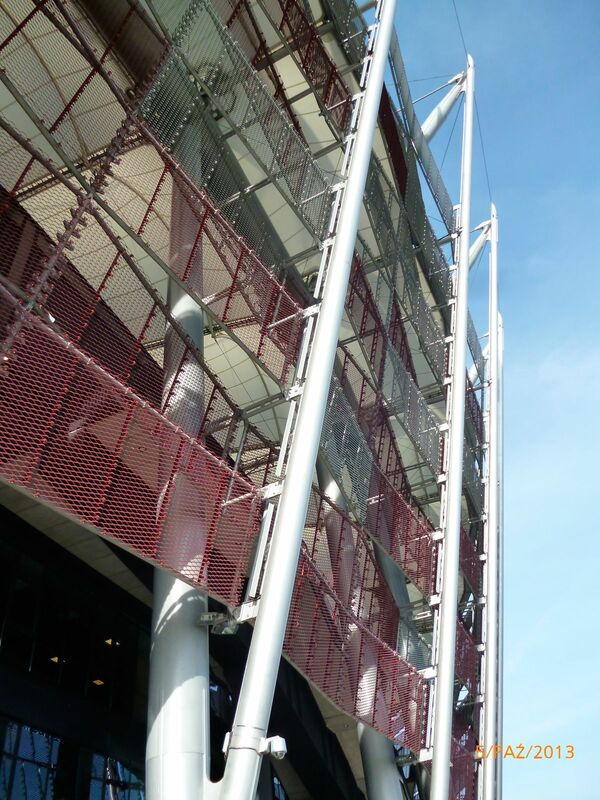 Behind the quasi-wicker facades double-tiered stands were supposed to accommodate 55,000 fans. 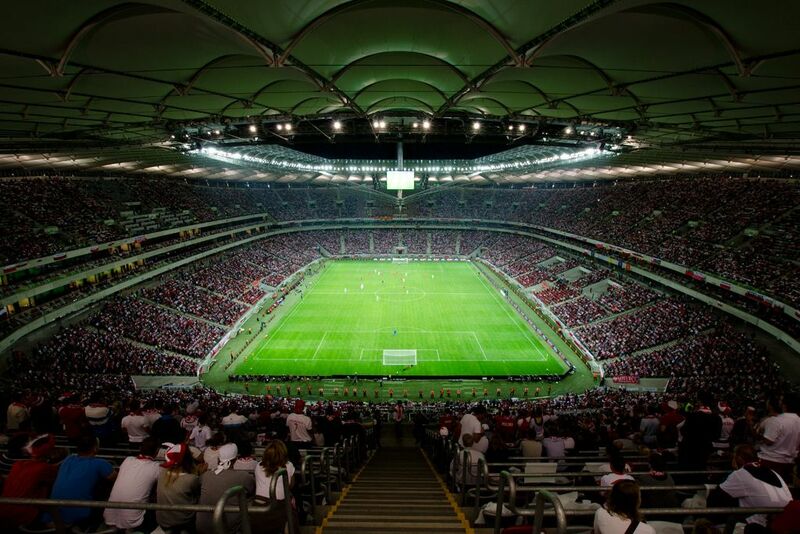 However in the final design architects managed to fit in 58,145. 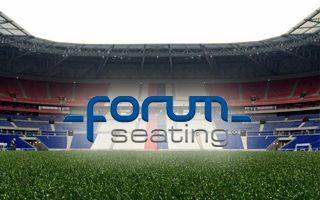 Apart from its form, the stadium has a very distinctive combination of retractable membrane roof and modular pitch, which allow it to function as a multi-event venue due to lack of proper football tenant. 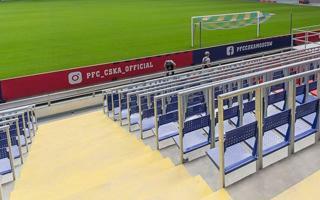 Since there will be only up to 4 games per year, the pitch rests outside the ground, awaiting assembly when needed. 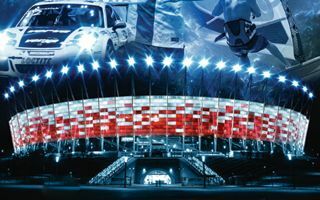 When not – concerts and other mass events can be held on regular basis. 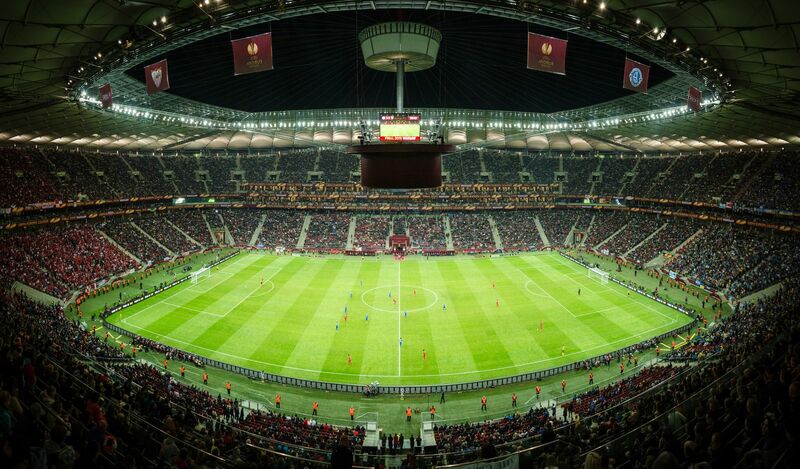 There is a significant corporate zone with 69 skyboxes and 4,600 business seats. 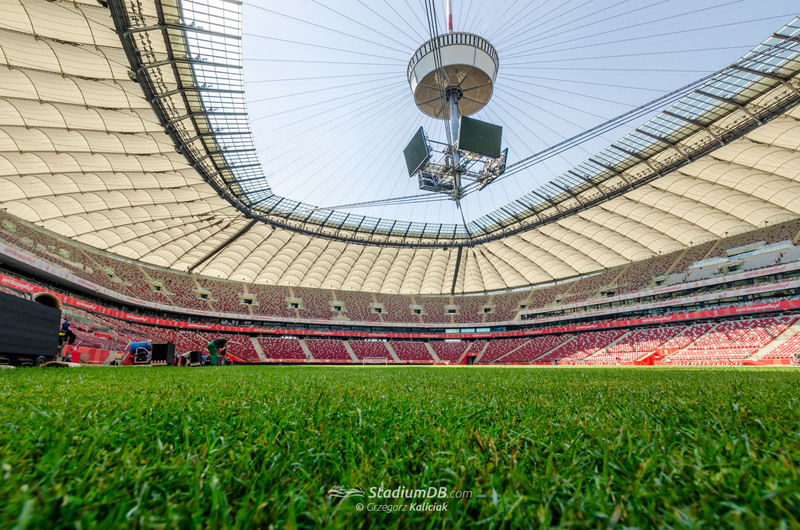 To make the stadium a viable investment, extensive surfaces for office and banqueting use were created as part of the infrastructure surrounding the stands. 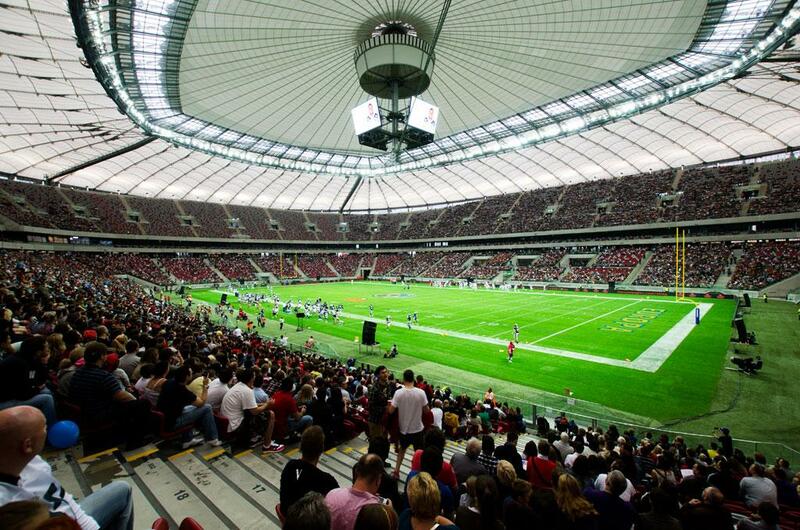 Overall the stadium offers 200,000 sqm of floor space. 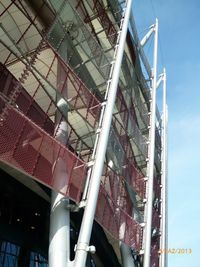 Under the pitch there was room for a two-storey parking for 1,765 cars. 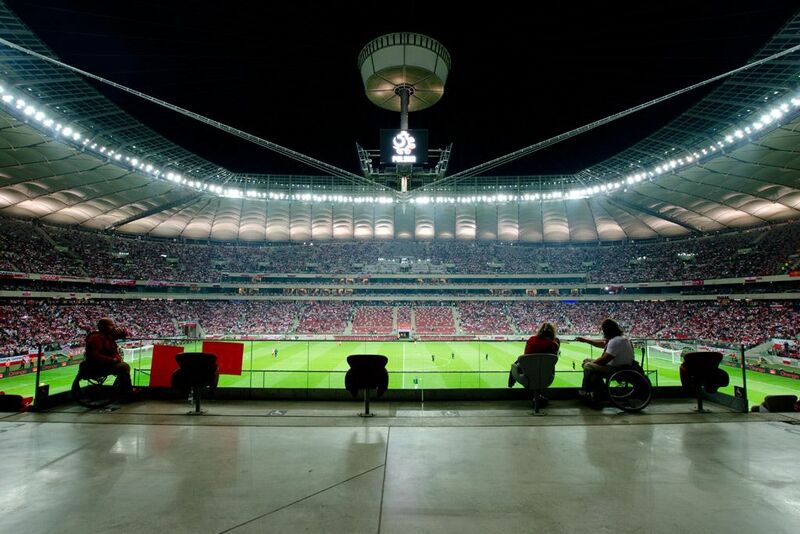 Construction was supposed to take 2 years, ending in June 2011, a year before Euro 2012. 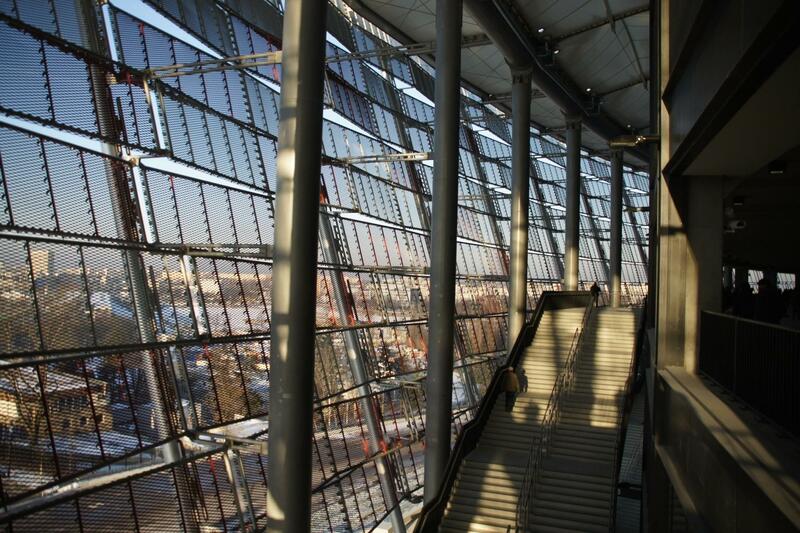 However, the building was delivered with significant delay. 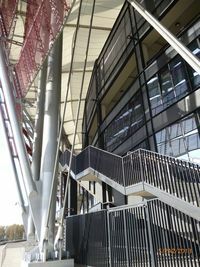 Official opening took place on January 29th 2012, but only half of the stands were opened. 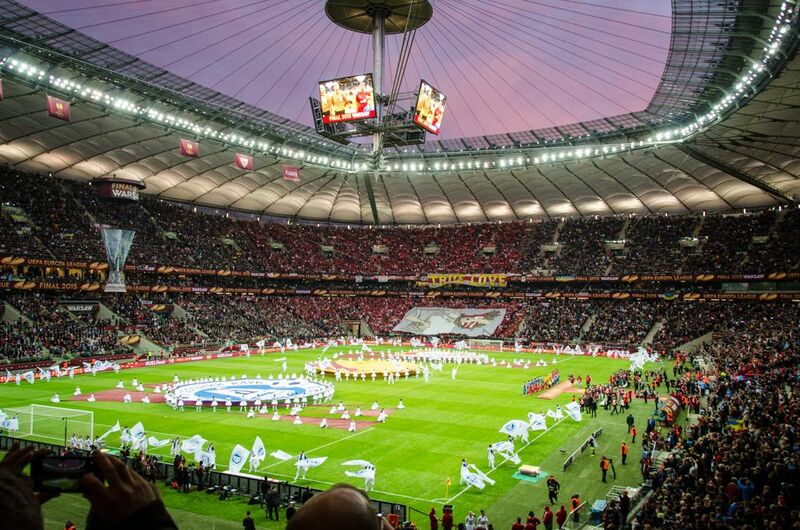 Actual opening is therefore the Poland – Portugal friendly, played exactly a month later, on Feb 29th. 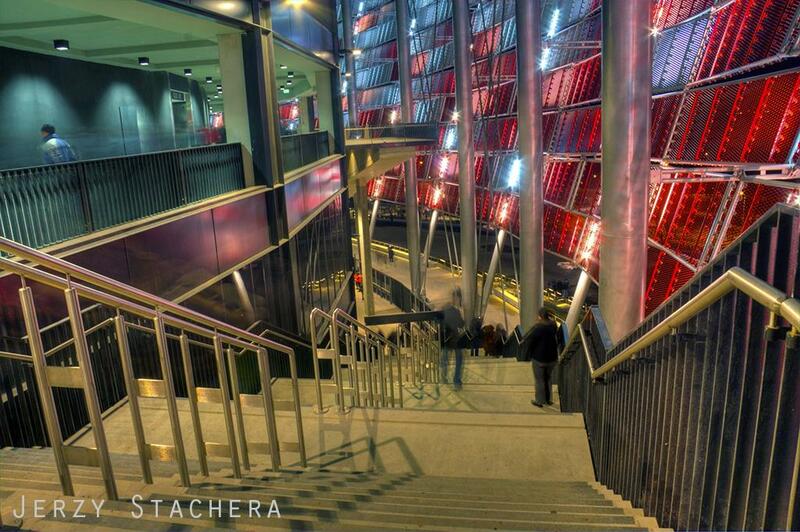 That still didn’t mean construction is over. 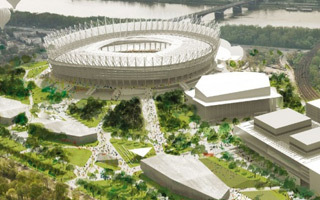 In fact, it did't end until late 2013 due to general contractors going bankrupt before reaching the end. 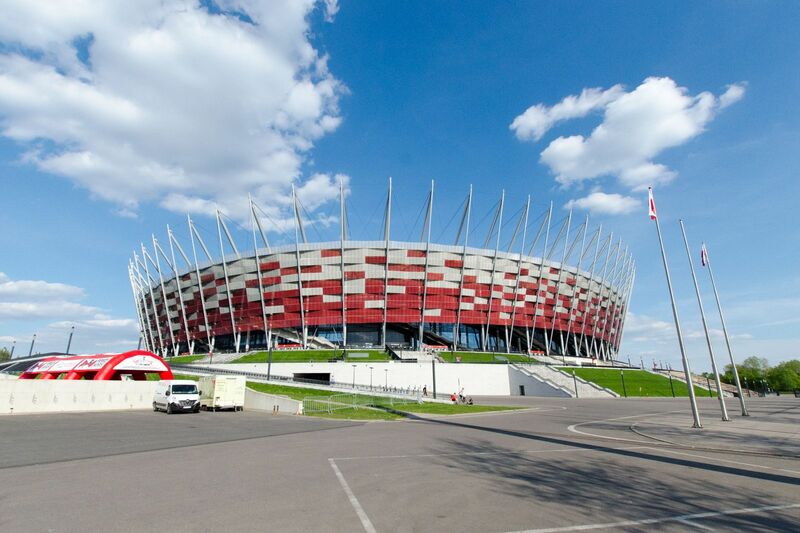 The stadium is used as home venue for Polish national team that play most official games here. 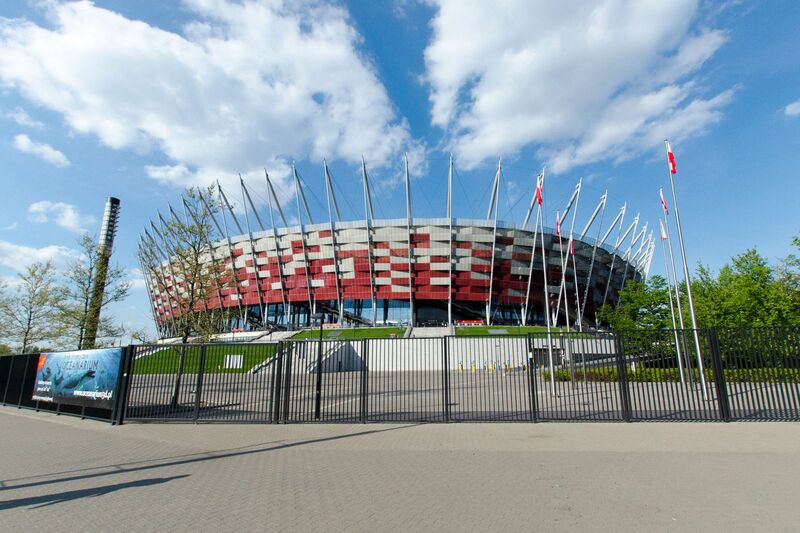 13.09.2018 #MisjaStadion: 100 stadiums for centenary of independence! 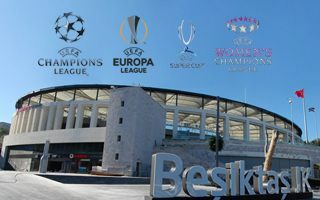 At first we thought it's simply impossible. 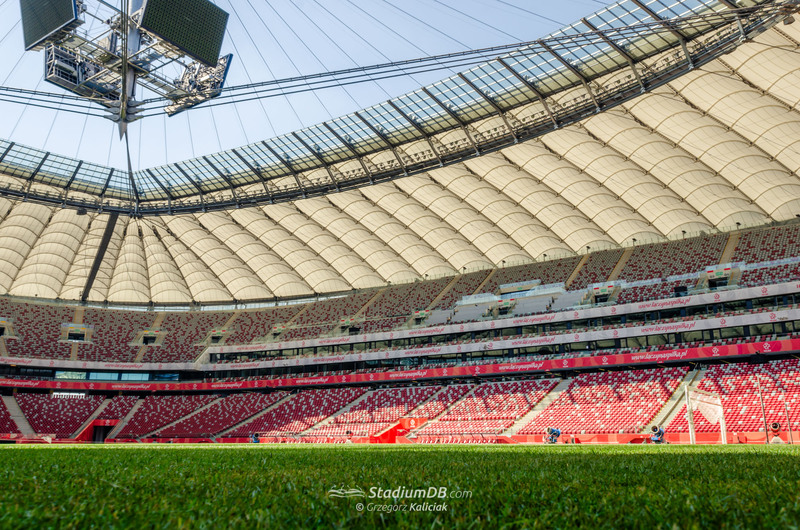 Now we're ready to go and launching #MisjaStadion. 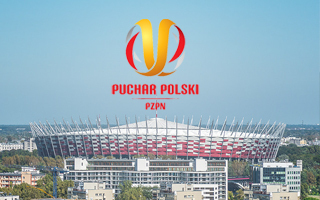 Why the Polish hashtag? 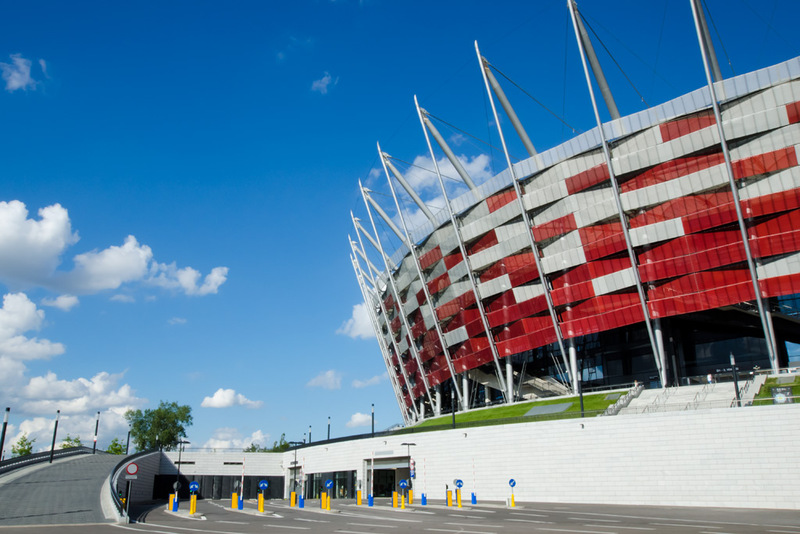 Because we're about to add or update 100 Polish stadiums by year end! 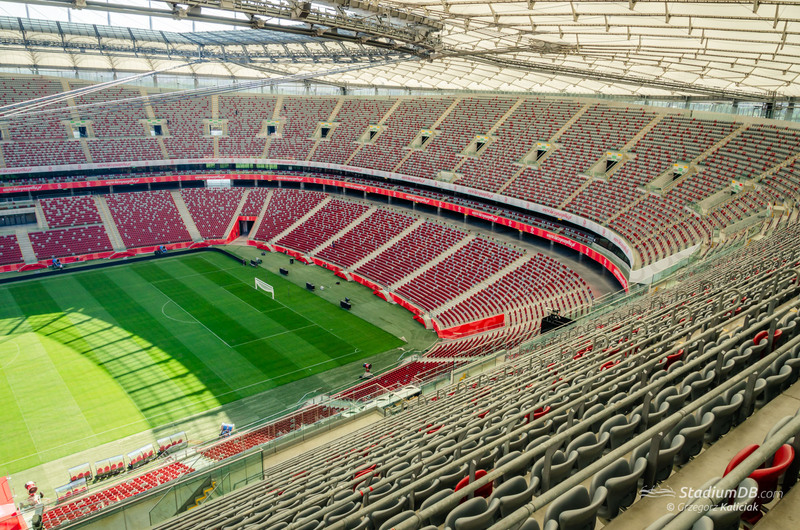 Up to $260 million could be spent on additional infrastructure around Warsaw’s PGE Narodowy, including a new indoor arena, skyscraper and congress centre. 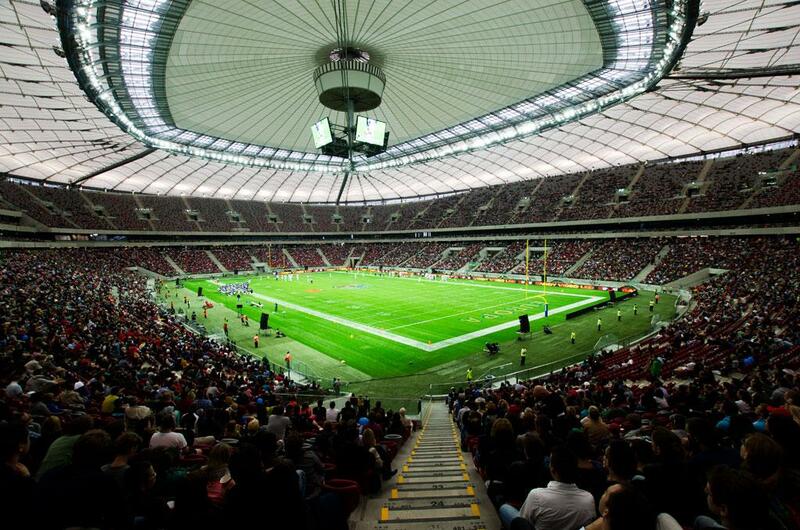 06.11.2015 Warsaw: Another record for Narodowy’s winter park? 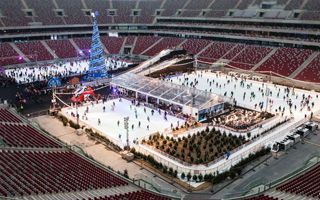 Poland’s largest indoor winter park will open its doors in late November. 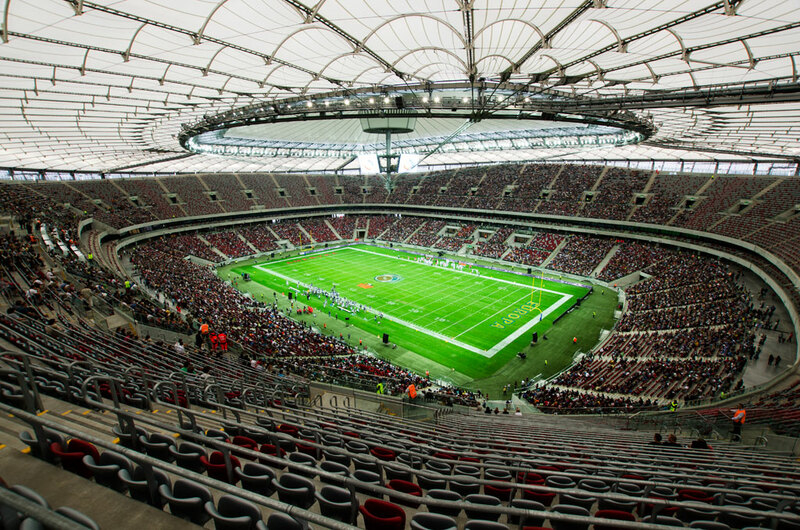 Stadion Narodowy’s operator managed to make the most out of the supposedly off-season. 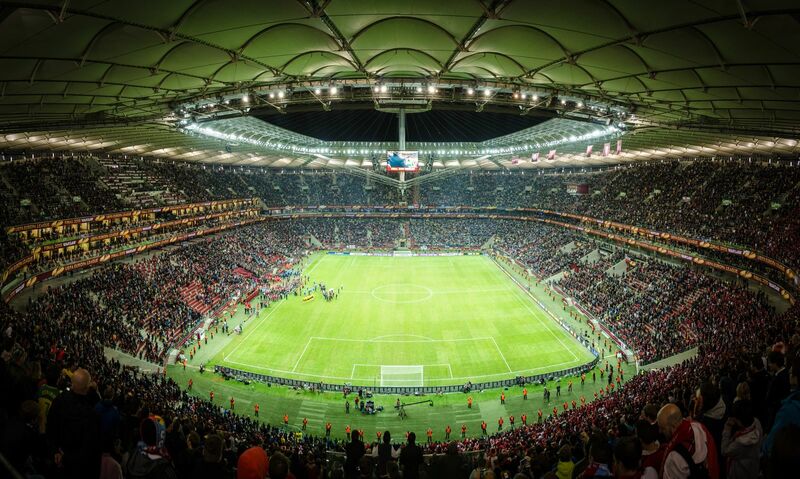 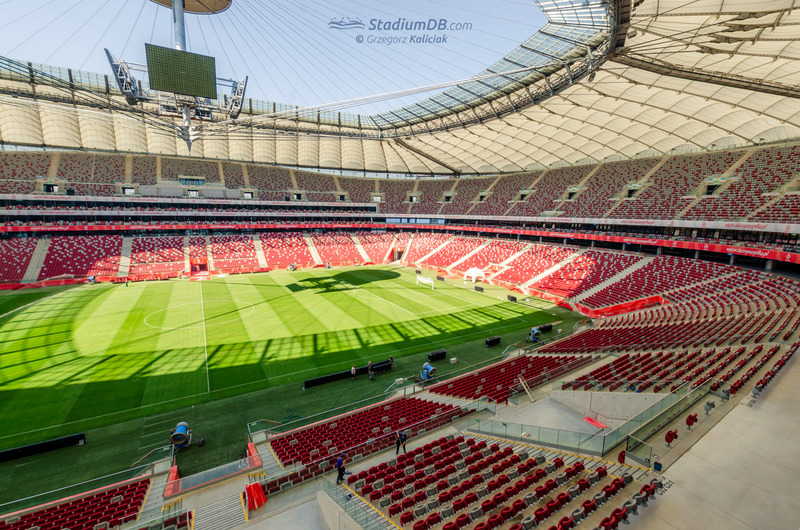 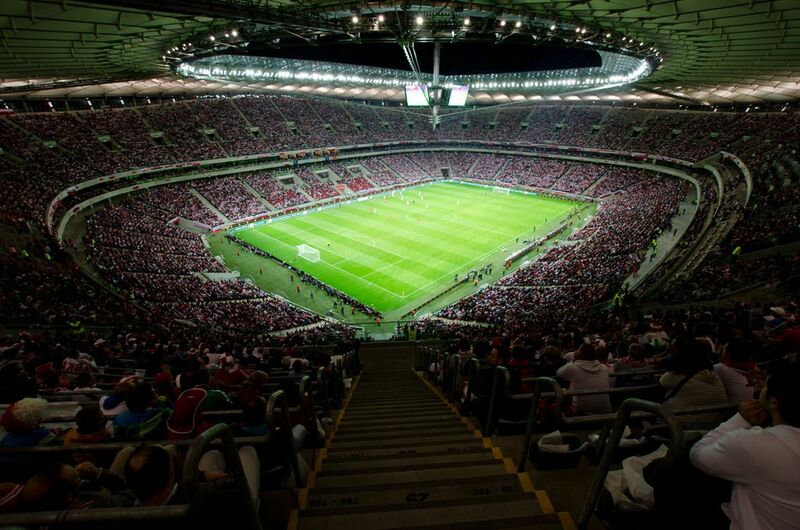 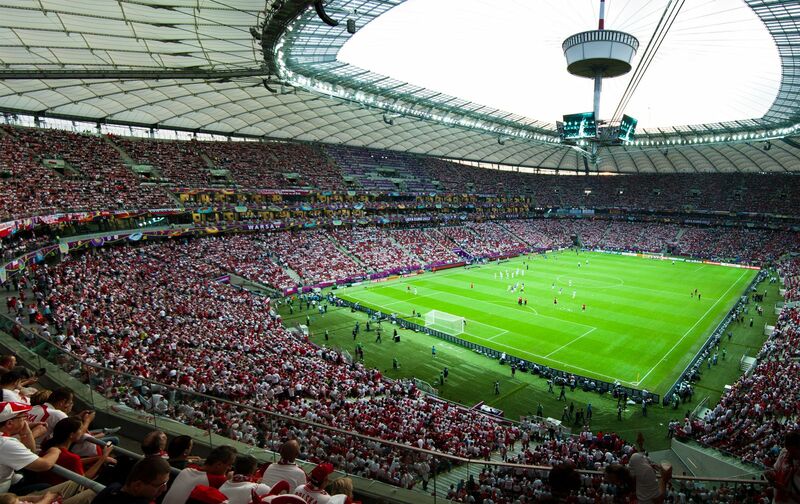 28.05.2015 Warsaw: Time for Champions League final in Poland? 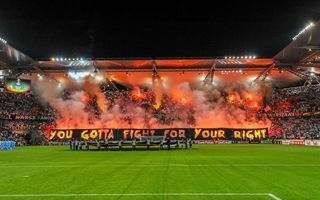 No, not really. 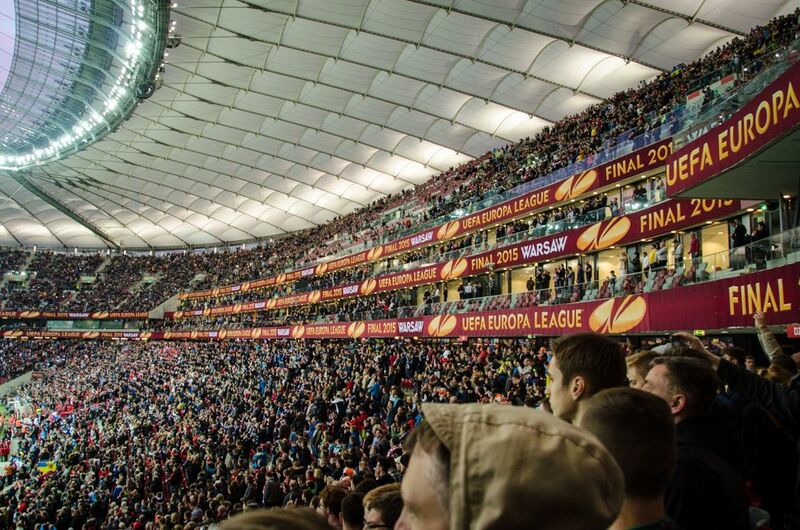 But more seriously: it’s not impossible for Warsaw to hold another cup final in upcoming years, this time even the more prestigious one. 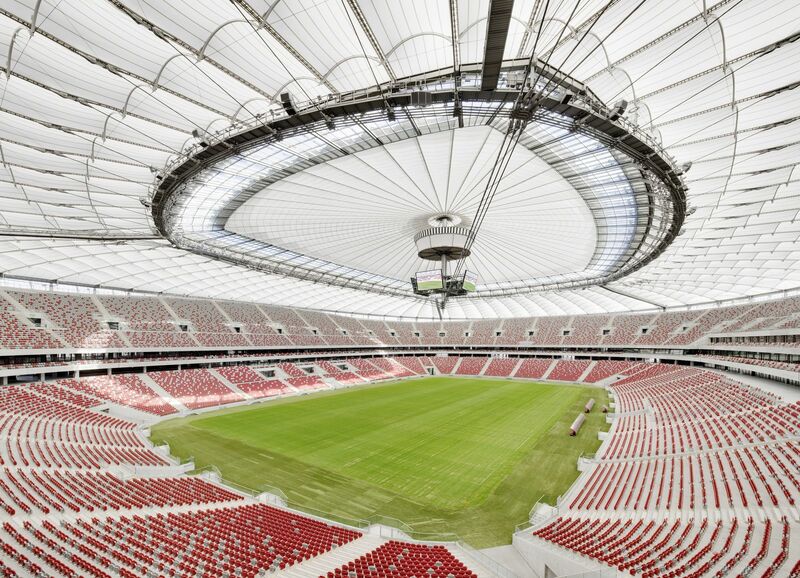 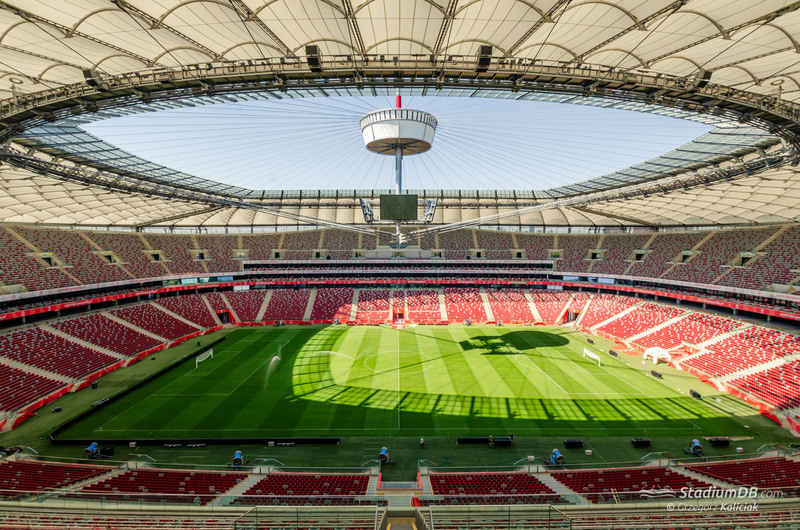 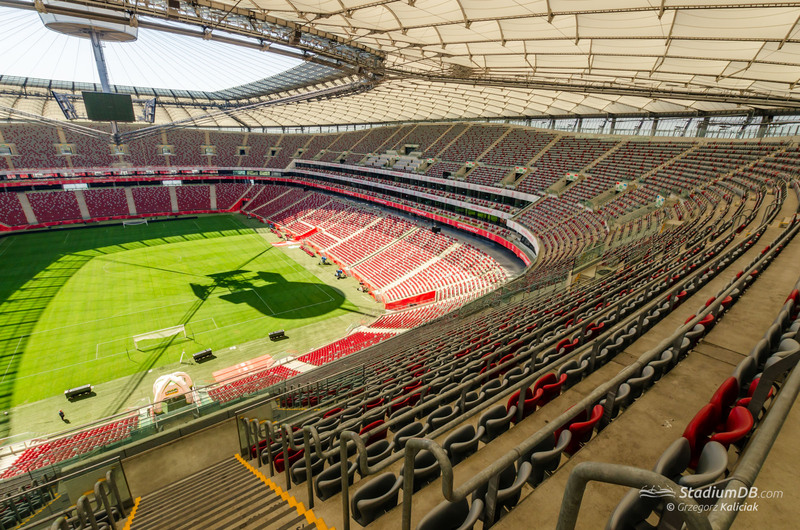 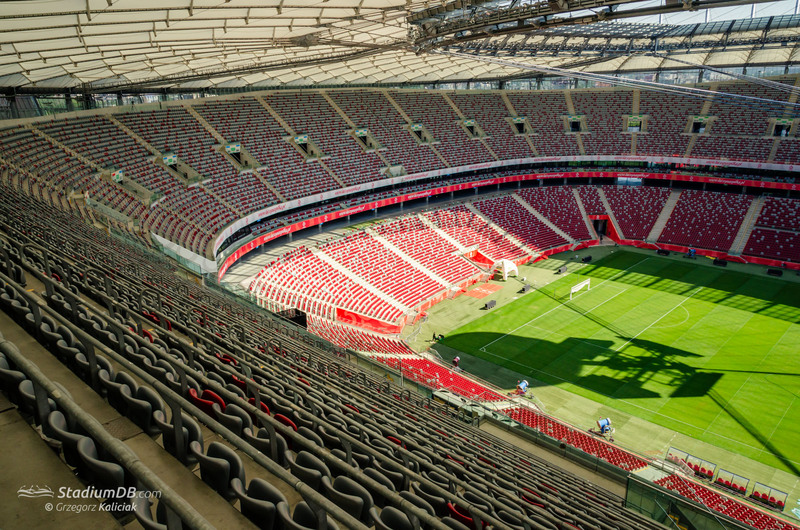 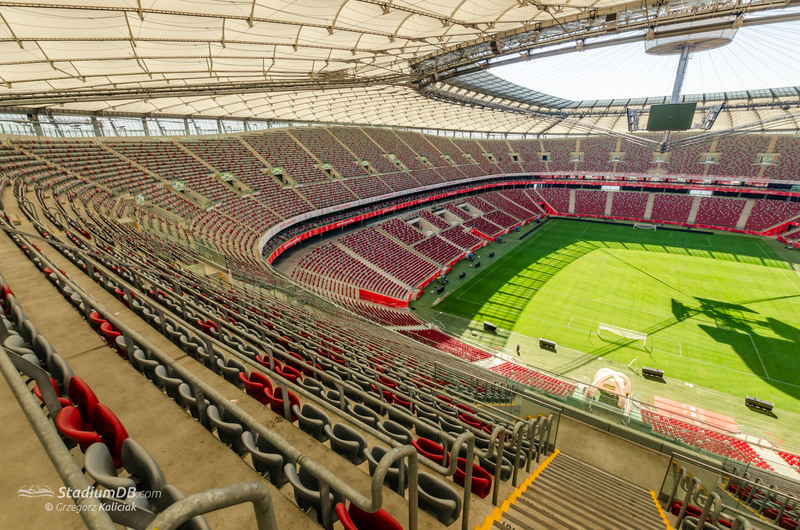 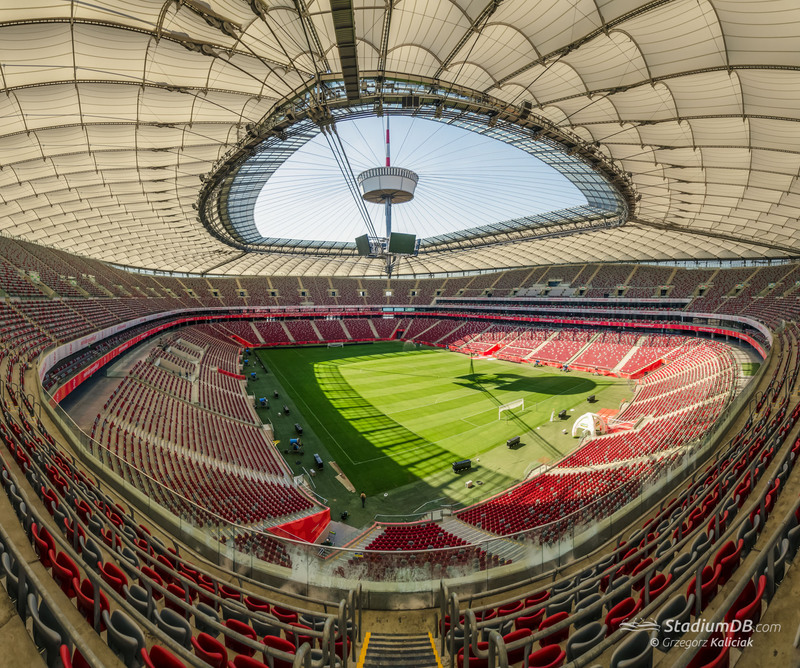 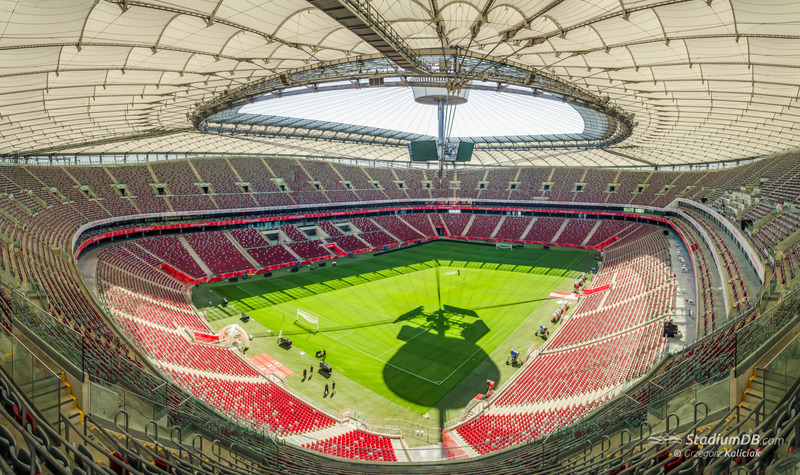 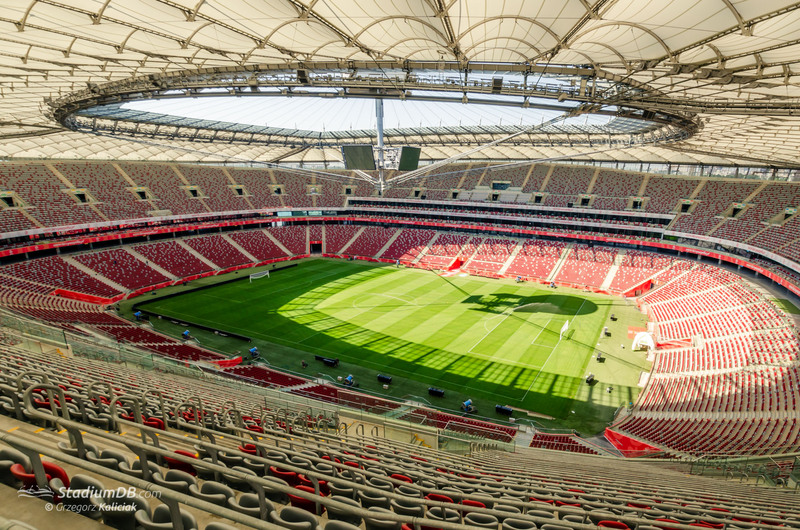 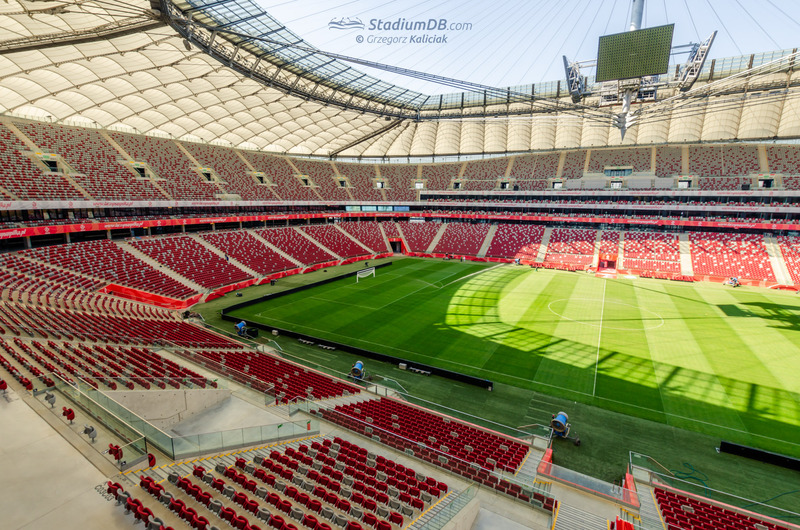 Today work on new football field inside Poland’s Stadion Narodowy begins. 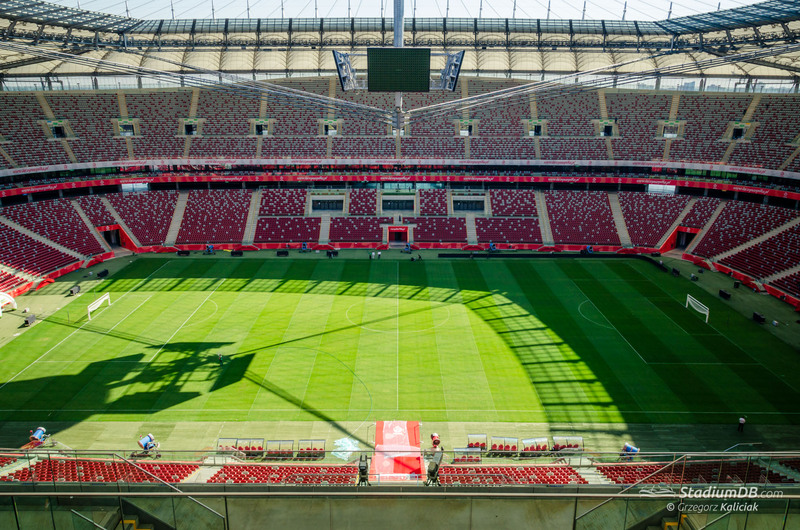 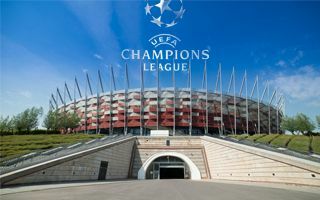 The Warsaw venue has 13 days to prepare for Europa League finalists, but morale is high after great financial results. 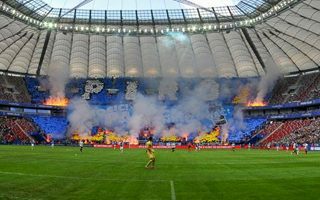 It was the most tense Polish Cup Final for a long time. 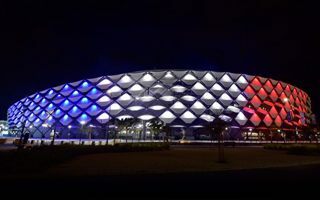 And yet it went almost perfectly. 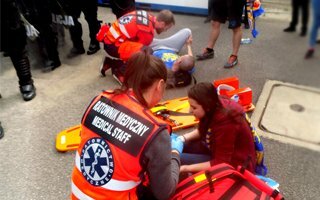 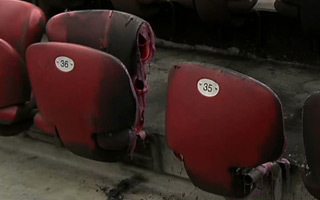 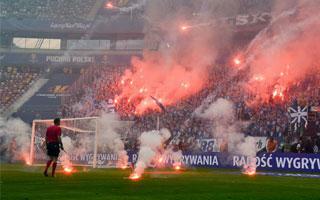 Then tragic news came from a 5th league clash, seeing the first death in Polish stadiums in many years. 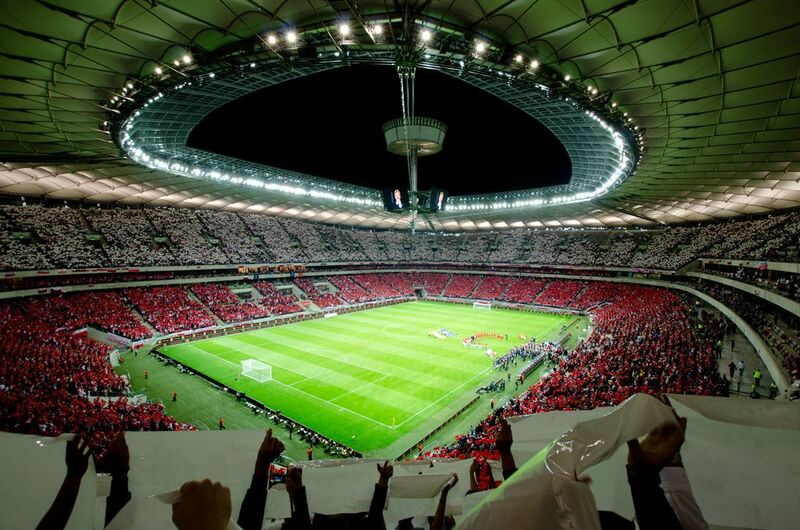 This year will bring the highest attendance in nearly 30 years for the Polish Cup Final. 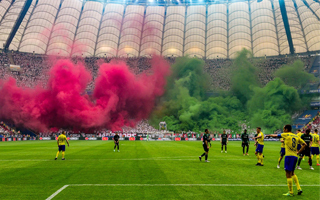 Clash of domestic giants is a great concern in terms of safety, but a festivity for fans and the FA organizing it. 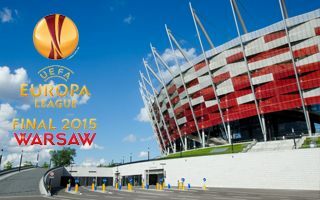 UEFA launched open distribution of tickets for the Europa League final in Warsaw. 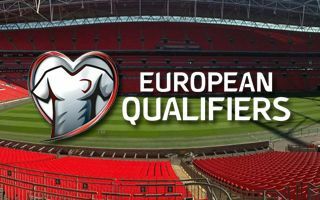 Applications may be filed until March 25 and then subject to lottery.